Access to and use of Wayne County trails is a vital part of Trail Works' mission. Many trails within our county are already accessible to handicapped people and others could be so with minor adjustments. Huckleberry Swamp, with its boardwalk certainly comes to mind. The south side of the Casey Park loop and much of the Erie Canalway trail are others that can easily be enjoyed by persons in wheelchairs. 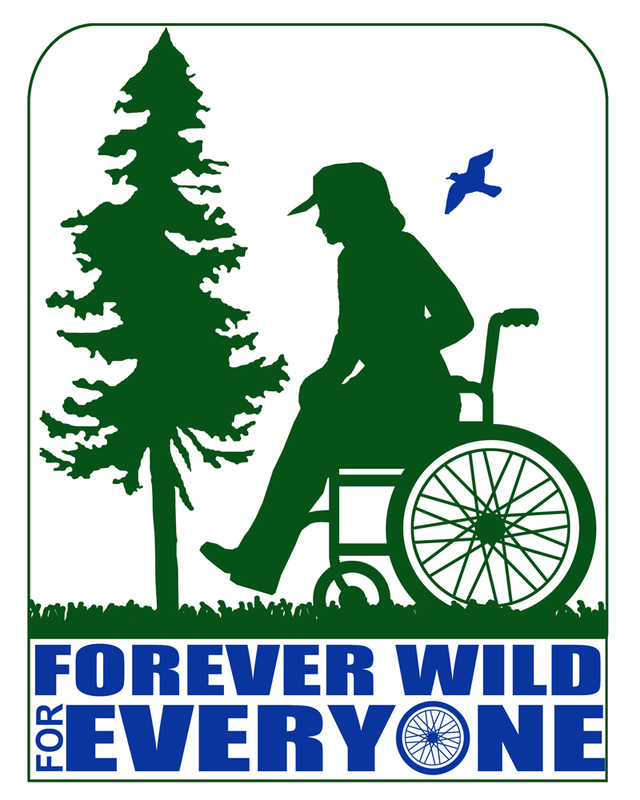 Mark De Cracker of Trail Works, who has recently retired from his position as Sr. Recreation Therapist at FLDDSO, has continued his passion for the rights of the handicapped with the idea “Forever Wild for Everyone”. Trail Works is committed to noting and publicizing the various trails which would meet standards of handicapped accessibility. We have recently been awarded one of the Walmart Community grants to help bring this project into action. Thank you to Newark Walmart for its generous grant of $1000, which will be used for signage, adjustments to existing trails and promotion. Trail Works, Inc. in conjunction with Forever Wild for Everyone believes that all people, regardless of their handicapping condition or age, have the right to enjoy nature and its many benefits. Our role as stewards of the Forever Wild for Everyone program is to develop and/or designate nature trails without barriers that everyone can enjoy. 0 Comments to "Trail Works Receives Grant from Walmart Community Initiative"